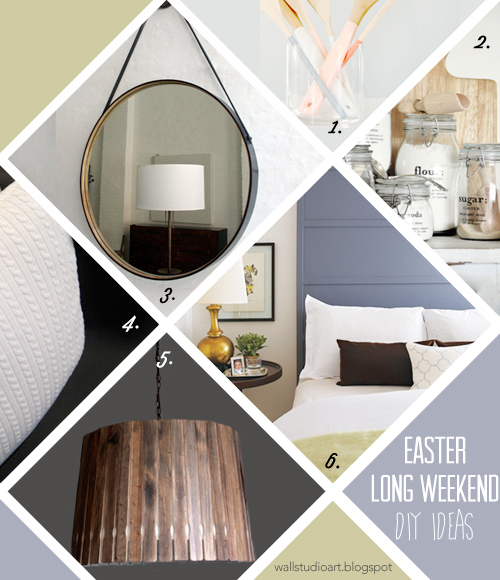 The Easter long weekend is a very popular time to get some DIY done around the house, after all it is a 4 day weekend, so there is plenty of time to get things done. Of course not all the things that need to be fixed up around the house are beautiful or even fun, but we have collected some projects that are both beautiful AND fun, AND they will help you bring some coziness to your home in preparation for Winter. There's a little something for everyone!